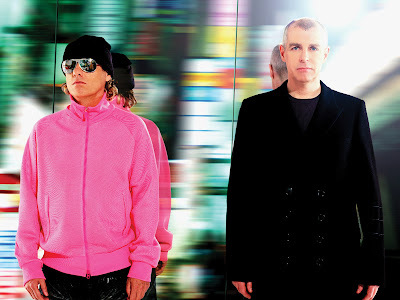 The Pet Shop Boys will be presented with an outstanding contribution to music award at next year's Brits, notes the BBC. In other words, it's official: I'm old. "Since their first Brit Award over 20 years ago, Neil and Chris have produced a fantastic body of work with songs that truly were the soundtrack to a whole generation's lives," says Brits committee chairman Ged Doherty. Meanwhile, stay tuned for the Grammy Nominations, where Rihanna featuring Lil Wayne is sure to be slated for this year's lifetime achievement honor. yes, that gynormous PSB comeback is imminent and the timing couldn't be better!! cannot wait! omg. paul needs to register cherycolehateon.blogspot.com quick. Paul, Cheryl Cole can munch my rod. Will, totally looking forward to the next album!